Our first trip to Grenada was planned after meeting Royce Hubert (on left) at COA in St. Louis. 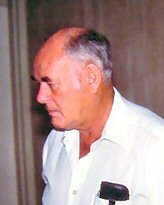 He sent me some Marginellas years ago from there. 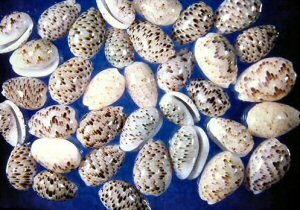 He told me the location where he had found the shells. 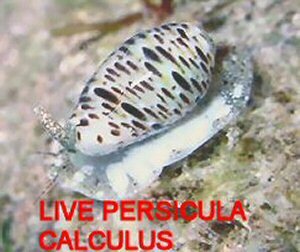 One of the species was Persicula calculus (Redfield, 1870). I had never seen this shell before Royce sent them to me. So Betty planned a trip to Grenada while I built a dredge. I made it so I could break it down and it would fit into a suitcase. I also took 150 ft. of rope. 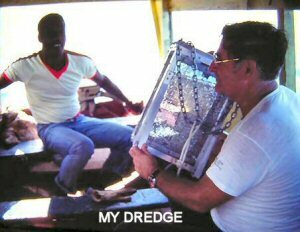 When we arrived in Grenada, we went into town and bargained for a boat that could pull the dredge. I put the dredge together that night. We were picked up the next morning and went up the coast where we started dredging. I tied the dredge onto 75 ft. of rope and I used the other 75 ft. to have the captain pull me behind the boat while I wore my mask and snorkel. I could watch the dredge and if it got into trouble on a coral head, etc. I could signal the boat to stop, and I would dive down about 20 ft. and move the dredge, then come up and signal for the boat to move again. 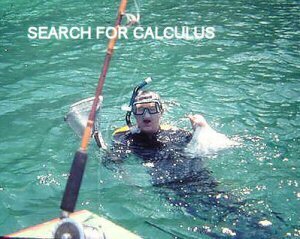 We did this for a couple of miles and still no calculus. 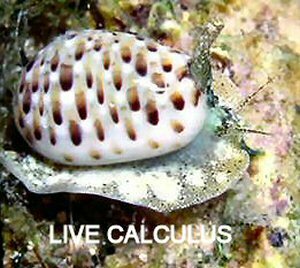 I was becoming very tired and disappointed, but time after time Betty kept looking in the dredge and finally found 2 calculus. We stopped dredging and I went into the water with my hand screen and a pillow case to put the grunge in. The grunge was black and white, and the Persicula were inpossible to see. 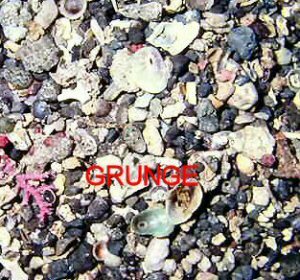 But when I dumped the grunge on the deck of the boat and it dried, the Persicula and some Olivellas were easy to see because they were glossy. That evening we photographed the living animals in the aquarium which I always bring with me and more material to build another one.. It was a very successful trip. We went several times after that. But the first trip was the best.